Cornucopia’s Take: Monsanto chose to sell a new dicamba-resistant seed prior to the approval. 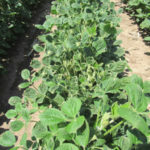 The new GMO seeds are resistant to the application of dicamba, an older pesticide that is known for its toxicity and tendency to drift. 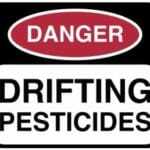 And that pesticide drift is allegedly polluting neighboring lands, causing enormous damage. Monsanto has so far refused to take any responsibility, but is now being sued. The dicamba resistant plants were developed due to growing weed resistance to Monsanto’s flagship pesticide containing glyphosate. Herbicide resistance is part of the pesticide treadmill. Of course this herbicide is not allowed in organics. 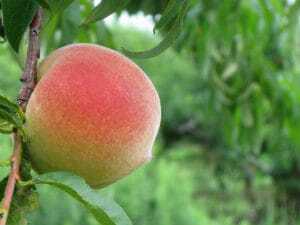 Missouri’s largest peach grower is suing Monsanto over claims that dicamba drift caused widespread damage to the farm’s peach trees. This is Monsanto’s first lawsuit over the illegal spraying of the herbicide on its genetically modified (GMO) cotton and soy that’s suspected of causing extensive damage to non-target crops across America’s farm belt.